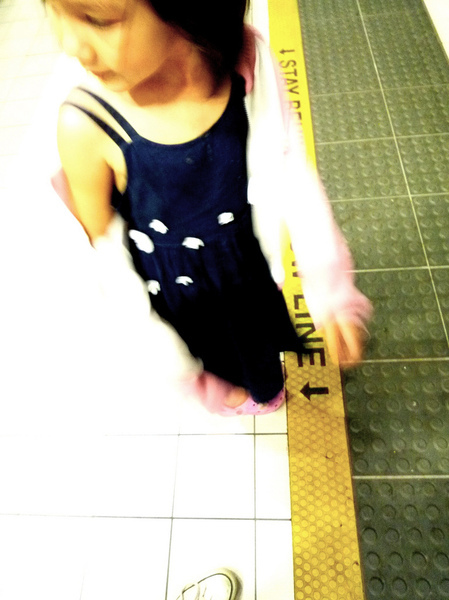 My little sister at the train station. Photo taken with a Panasonic Lumix DMC-FX36. S T A Y B E H I N D T H E Y E L L O W L I N E ! ! !